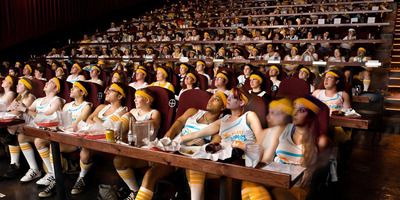 Kathy TranAlamo Drafthouse’s Yonkers, New York location. Theatre chain Alamo Drafthouse is beta testing its movie ticket subscription service, Alamo Season Pass. Business Insider got details about the plan from Drafthouse chief technology officer, Mikey Trafton. The pass is only being used by a few hundred people at the chain’s Yonkers, New York location, but over 40,000 are on a waitlist to use the pass (the beta is less than a month old). Currently, the subscription price is between $US15 and $US20 for unlimited 2D and 3D movies (including going back and seeing the same movie as many times as you want). Alamo Season Pass will be expanding to other locations in the future, however, Trafton said there will be many changes to the plan during the beta phase before it’s rolled out to all Drafthouse theatres. Since MoviePass disrupted the move-theatre business last summer by offering a $US10-a-month subscription, theatre owners have taken a more serious look at launching their own plans. That includes a theatre chain with some of the most loyal followers in the country: Alamo Drafthouse. The chain is known best for being one of the first in the US to offer its patrons food and alcohol while watching movies. And Drafthouse is always looking for out-of-the-box ideas to showcase. That can be anything from doing female-only screenings last year of the first “Wonder Woman” movie to having a four-course meal while watching “Pineapple Express,” which is happening later this month at its Brooklyn, New York location. 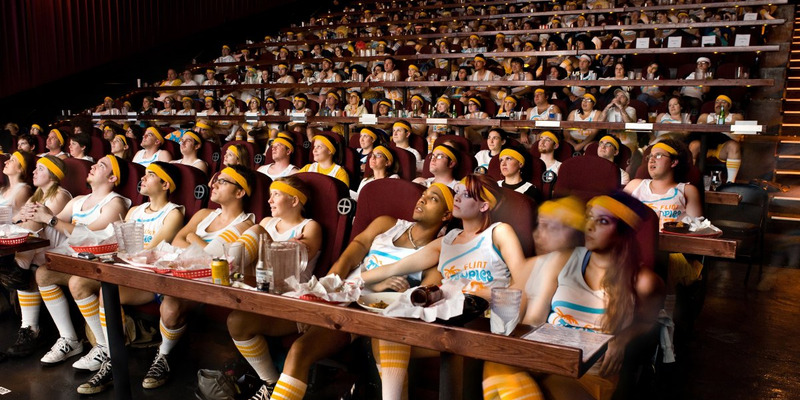 But for a company that loves to do things as big and outlandish as its homegrown Austin, Texas roots, Drafthouse has been very methodical about its movie-ticket subscription service, Alamo Season Pass. Launched in a beta version on July 18 at its Yonkers, New York location, Drafthouse has been generally mum about the pass, other than stating that for an undisclosed monthly free subscribers can see unlimited movies through its app, and can add on additional tickets. 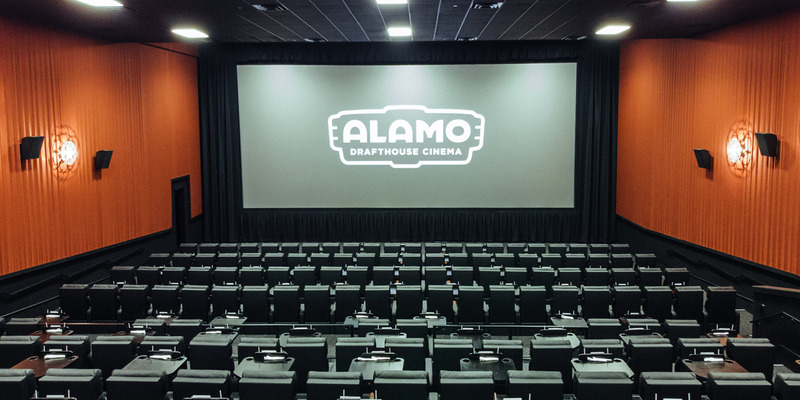 However, after Business Insider had a chat with Drafthouse’s chief technology officer, Mikey Trafton, we now know more details about Alamo Season Pass and how much its customers are using it. According to Trafton, a few hundred people are currently using Alamo Season Pass at its Yonkers theatre, but that’s not because it’s having trouble finding subscribers. In less than a month, over 40,000 people have signed up for a waitlist for Alamo Season Pass, according to Trafton. Some of them are those waiting to be invited to use the service in Yonkers, but many are people in other parts of the country. Trafton was very adamant that Alamo Season Pass is still in a beta version, and the plan will be tweaked often to figure out the best offer for when it’s officially rolled out. But currently, at the Yonkers location, the pass has a monthly fee between $US15 and $US20 for unlimited movies, which includes seeing the same movie as many times as you want. Through the Drafthouse app you can pick the movie and showtime you want, reserve your seat (this doesn’t need to be done at the movie theatre, and you can do it days in advance), and add any additional tickets. Alamo Season Pass currently doesn’t offer food or beverage deals, and it’s only for standard-format 2D movies and 3D tickets (but not for any special Drafthouse screenings that have a higher ticket price). Trafton said the number of subscribers using the pass at the Yonkers location will increase over time. On a weekly basis, people on the waitlist in Yonkers are receiving email invites to take part. The price and features are included on the email – remember, they are beta testing, so the monthly price and options may change – and the invitee is given two weeks to agree to take part. Alamo DrafthouseEveryone dressed up so see the 2008 Will Ferrell comedy ‘Semi-Pro’ at the Alamo Drafthouse. Trafton said the biggest takeaway so far has been the mix of movies people are seeing with the pass. The reason Drafthouse is being so methodical about rolling out Alamo Season Pass is because the company wants to have a price point and options that are ideal for the Drafthouse moviegoer, but also make business sense. Trafton said it’s hard to figure that out now because, comparing it to a gym membership, Season Pass is in a binge period (Trafton said the most pass members are going right now is every three days on average). He said it will take months to see how the members use it in normal behaviour. In that time, Season Pass may be rolled out to other locations for beta testing, but it’s “going to be a while,” Trafton said, before the subscription plan is available at all 29 Drafthouse locations around the country.